Heavy duty clamps for secure connection. Suitable for the biggest of cranking applications, rated at 500 AMPS, they are heavy enough to start a cold diesel in winter, or can be used for general day to day duties. Fitted with Surge protection to accommodate later model vehicles with Engine computers, No need to check your vehicle, these will be fine for all vehicles. 00% Brand New and High Quality. 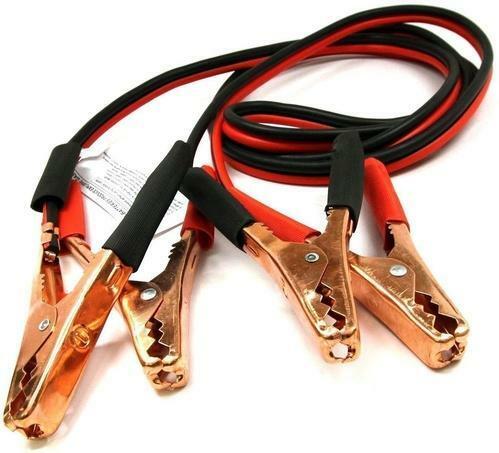 1 x Extra Long Heavy Duty 10 Gauge Copper Clad Aluminum Jumper Cable auto jump starter booster cable. We are a prominent wholesaler and trader of a comprehensive assortment of Car Perfumes, Bluetooth Speakers, Bluetooth Headset, Car Accessories, etc. These are highly appreciated amongst our clients for their long service life and low maintenance.